One of the things the Star Wars sequel trilogy has in common with the Star Wars original trilogy is that each film will have a different director, with JJ Abrams directing the first installment (The Force Awakens), Rian Johnson helming the second (The Last Jedi), and Colin Trevorrow handling the third (Episode IX). While some have raised questions about what this means for the continuity of the story between the films, Finn actor John Boyega thinks it's for the best. Boyega has been promoting his new film Detroit lately and, of course, this means he gets asked a lot about Star Wars. He spoke with Entertainment Weekly's Morning Live Podcast about several of his upcoming projects. Star Wars: Episode VIII The Last Jedi hits theaters on December 15th. 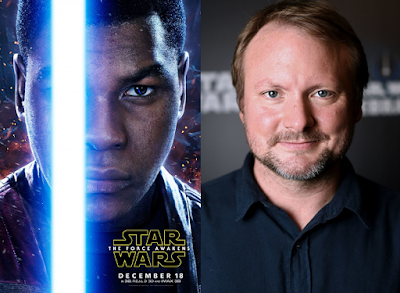 The film is written and directed by Rian Johnson and stars Daisy Ridley, Mark Hamill, John Boyega, Adam Driver, Carrie Fisher, Kelly Marie Tran, Laura Dern, Benicio Del Toro, and Lupita Nyong'o.